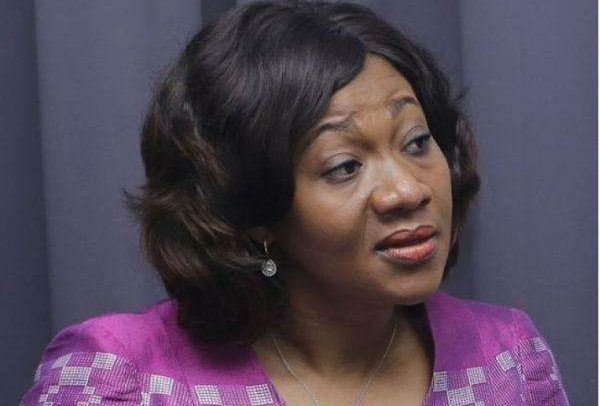 Ghana’s President, Nana Addo Dankwa Akufo-Addo, has nominated the Executive Director of the Institute of Economic Affairs (IEA), Mrs Jean Mensa as the New Chairperson for the Electoral Commission (EC). Her nomination was contained in a press statement, signed and issued by the Chief of Staff, Akosua Frema Osei-Opare on Monday, July 23. The President of the Republic, Nana Addo Dankwa Akufo-Addo, has, by letter dated, ‘Thursday, 190 July, 2018, sought the advice of the Council of State, in accordance with Article 70(2) of the Constitution, for the appointment of a new Chairperson, two Deputy Chairpersons, and a Member of the Electoral Commission (EC). This follows the removal from office, on Thursday, 28th June, 2018, of the former Chairperson of the EC, Mrs Charlotte Osei, and the two deputies, Mr. Amadu Sulley and Mrs. Georgina Opoku Amankwah, by President Akufo-Addo, after the Committee established by the Chief Justice, Justice Sophia Akuffo, to investigate petitions brought against them, recommended their removal. Further, the retirement from office of Mrs. Pauline Dadzawa, a Member of the Commission, on Monday, 30m April, 2018, has created an additional vacancy in the Commission. President Akufo-Addo is hopeful that the Council of State will discharge its constitutional duty expeditiously, to enable hint make these critical appointments to this very important institution of State.